I’m back in the Mesa a Mesa saddle, and my first post in a long, long time is a relevant one: Being Greek, and having travelled many times to Greece growing up, I was intrigued to get a preview of Central Market’s Passport Greece program starting Wednesday, April 29. Overall I’m really impressed with the variety of prepared foods, baked goods and Greek products they will be offering during this time. There is a lot of thought and creativity that went into the selection of items. These are much more than the typical imports you’d find at your local Mediterranean market. This could rival a market in Astoria, Queens, and is probably even better because you have a curated selection of things so you know they’re all going to be good. 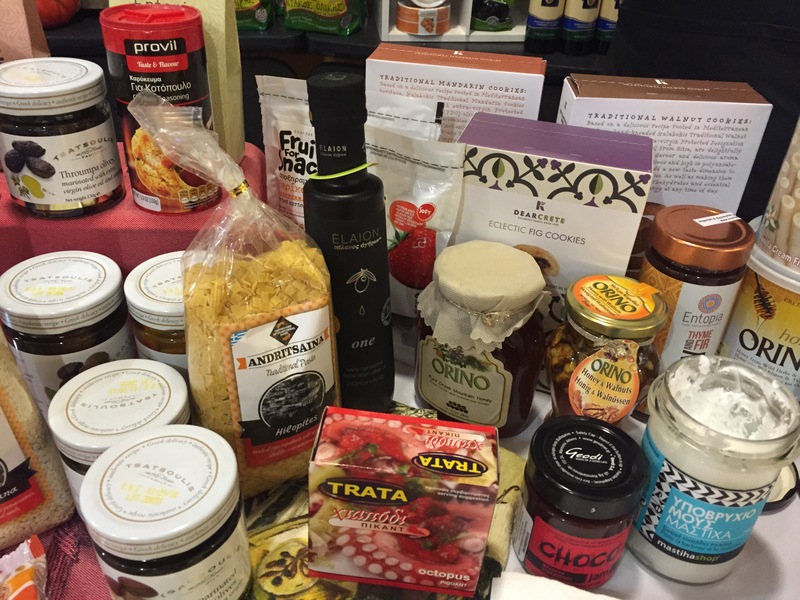 Highlights include: FIVE different kinds of feta cheese (all sheep’s milk from small farms, nothing mass produced), mastika spoon candy (made with resin from a tree only found on the island of Chios), hilopites (small square pasta), pasteli (sesame honey candy), amazing olive oils: Ladolea brand single varietal Peloponnesian olive oil, and an oil from the superior producing town of Ligourio; and a Florina pepper spread (peppers native to Northern Greece; they were featured on the cover of Saveur’s Greece Issue in 2010). Expect a wider selection of Greek wines, some hard to find ones not available in the southwest, and some Greek beers including an IPA. The Domaine Sigalas Santorini Assyrtiko and Domaine Skouras Moscofilero white wines are crisp and refreshing, perfect as we head into summer. This was probably the biggest surprise of all. All of the pastries hit the mark and I had a long chat with the pastry chef about flavors, spellings and more. Baklava is so common but also the easiest to get wrong. This one is syrupy and moist (not dry and flaky), with plenty of nuts and spices. The galaktobouriko, a milk custard pie was great too, as were the kourabeides (what most in San Antonio would identify as Mexican wedding cookies), buttery and crumbly with just enough pecans. 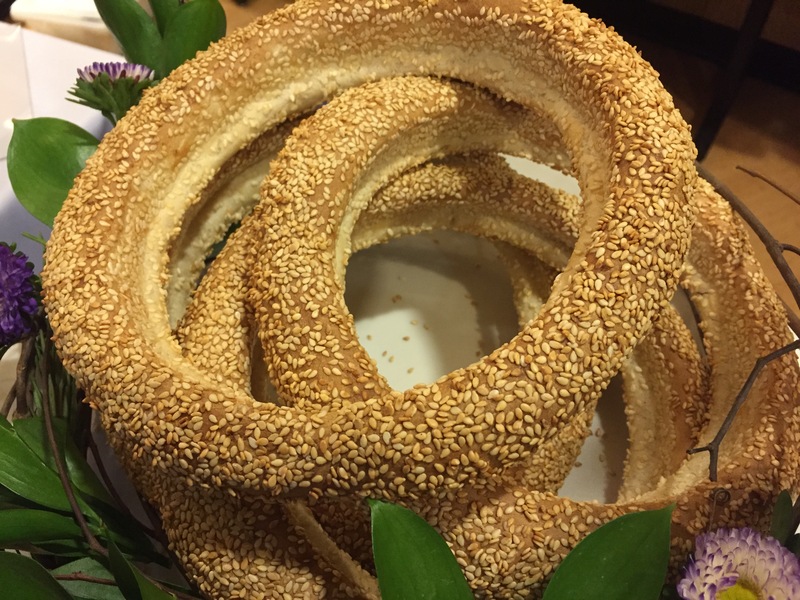 But the real surprise was the bakery is actually making koulouri, a circle-shaped chewy bread covered with sesame seeds that is a very common Greek snack. It’s sold in every bakery in Greece and is a common street food. Vendors pile them high on wooden boards, selling them on the beaches or in the hubbub of Athens they weave around the packed cars at a toll road stop. The toasted sesame seeds give the bread a nice crunch and nuttiness. Dip it in olive oil or the Florina pepper spread! Overall pretty solid, if lacking some punch. A grape leaf wrapped beef meatloaf loaded with peppers was flavorful and moist. The pork souvlaki was almost there, but needed more marinating in olive oil, lemon juice and oregano. The lamb gyro was better, but I’m loyal to the traditional pork souvlaki. The tzatziki needed a little more zing. The beef and lamb meatballs (keftedes) were good with the “Greek Village Salad,” a simple tomato and cucumber salad. Overall some good staple Greek dishes. I’m looking forward to trying the moussaka. The Greek cooking classes cover a range of topics taught by CM cooking school staff and some special guest chefs. There’s a Greek Bread Workshop, Lamb on the Menu, Greek Classics, a vegetarian Greek cooking class, Greek pastries and more. There’s a Greek wine tasting on Monday, May 4, 6:30 – 7:30 p.m. where for $10 you can try six wines. Be sure to make several trips during this two-week event for lots of tastings and stocking up on these special items! Enter your email address to subscribe to Mesa a Mesa and receive notifications of new posts by email.